New to CFS is a Delta Crusader precision rotary die cutting machine. This allows us to tackle high volume, tight tolerance jobs often found in medical converting. Check out our VIDEO to see how CFS utilizes this new technology! What makes a Delta Crusader the premier choice for custom converting? Die cuts can only be as precise as the equipment that makes them. 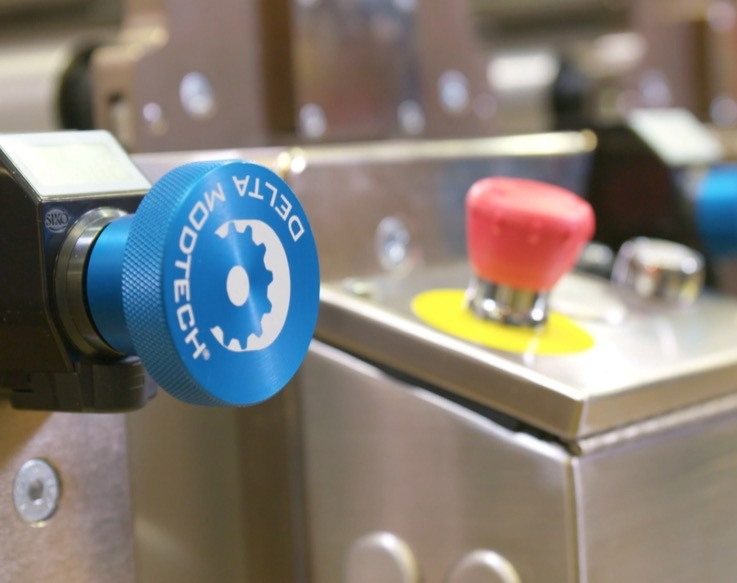 Since there is a separate servo motor at each station, the die cut modules can be adjusted independently of each other, allowing the cut to be changed quickly. This allows the machine to make precise cuts even when the eyemarks are inconsistent. Individual servo controls at each die station also allows for another critical factor in web converting, precise tension control. 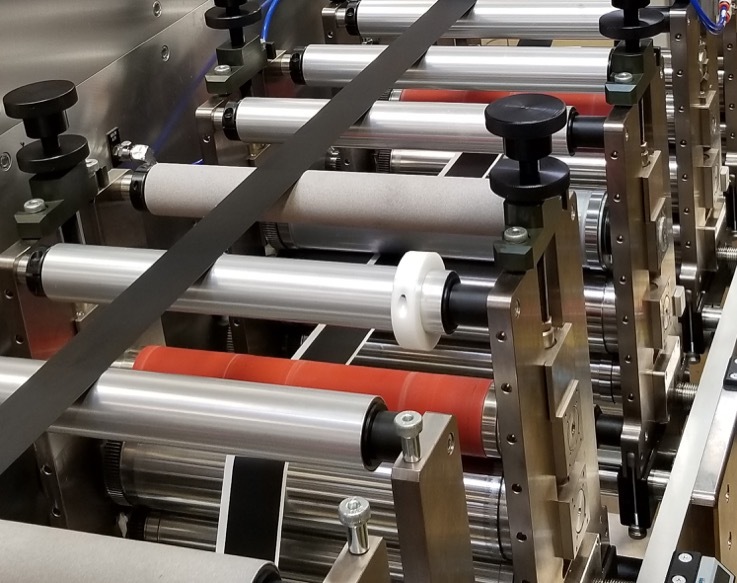 Each die, nip or print station can be set at a different speed ratio to allow you to create tension zones with the press of a button. The PCAM (Position Cam) causes the axis to travel at different speeds throughout its rotation. PCAMing is used to make different length parts (longer or shorter) with the same tooling. Complex and tight tolerance die cut parts require exceptional registration. The registration software is unparalleled in its ability to make corrections from incoming eyemarks to put the cut in precisely the right place automatically. Experience has proven that using both sensors and vision to register multiple die cuts provides high accuracy. 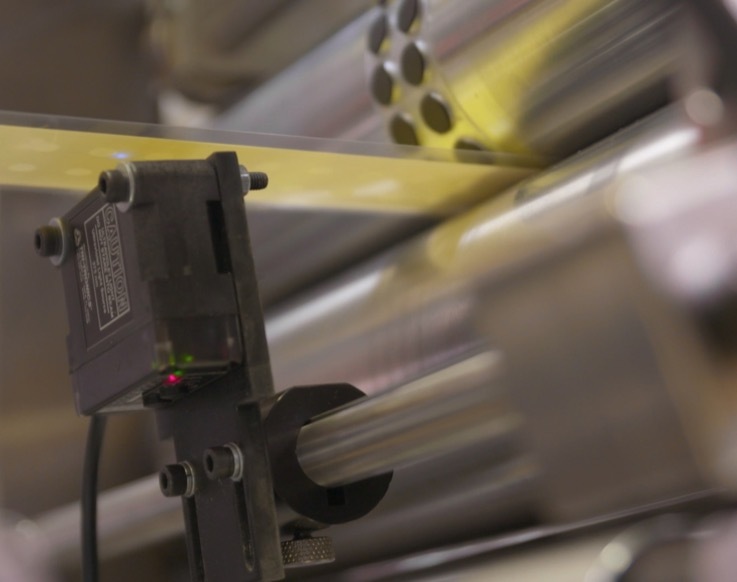 Sensors are used to obtain the required speed to register each part allowing continual feedback.